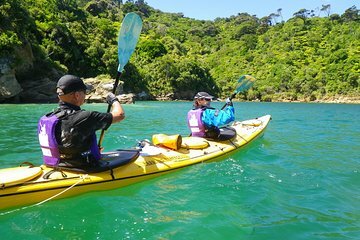 Spend your day sea kayaking around Queen Charlotte Sound on a guided excursion from Picton. Paddle across the harbor and stop for morning tea at a remote beach, then continue into the Grove Arm of the sound and enjoy lunch in a tranquil bay. Keep an eye out for cormorants and other wildlife as you listen to expert commentary about the Marlborough Sounds from the guide.